An improvised guitar/electronics duo (Stangl doubling on CD player). The first track begins with quite the rockish fanfare; I'm assuming that's largely due to Bates, whose work I otherwise don't know, a guess confirmed by the eventual soft strumming heard beneath, a sound area much more in keeping with Stangl. It makes for a nice dichotomy, kind of a sacred and profane deal. That piece only lasts some four minutes and leads to the pair of longer improvisations. 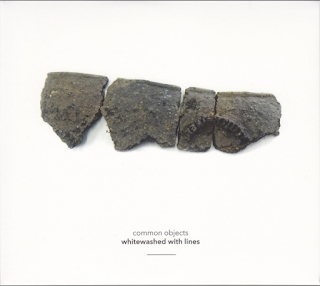 "One" is slow and thoughtful, very much in Schnee-like territory (without pop covers), a series of resonant chords that perhaps recall Loren Connors, plus some good, harsh static so things don't cloy. 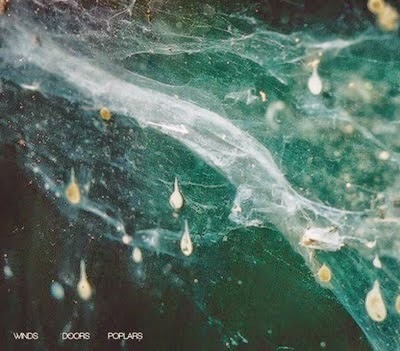 Indeed, they threaten to crumble and collapse, the narrative hanging by a thread, before they regroup and head off in a different direction, one of sustained chords and an electric, dripping figure and outward into stormy, molten free form scapes though retaining an essentially rock-like feel. "Three" comes across as the fullest expression here.zAgain, it's fairly mellow and slow-paced but richer and, interestingly, less comfortable, not in an overt way but subtly so--the same rocking motion that lulls you can imprison you. A sparer, less over the top Godspeed might be a referent. Enjoyable, not essential, but always good to hear Stangl. BRGS is Slovenian musician Jaka Berger working largely with percussion and electronics. "Endless Walls" involves subtle and patient manipulation of what seem to be processed percussion samples, including backward tapes. On "Wall 1", they seep in and out of the sound field, giving somewhat the impression of vehicles emerging on a night road, passing by and disappearing--concise and well-realized. The other piece, "Wall 2", uses much the same elements, I think, but is far more active and chaotic. The activity flits by instead of slowly driving through and is, necessarily, more concentrated and varied. 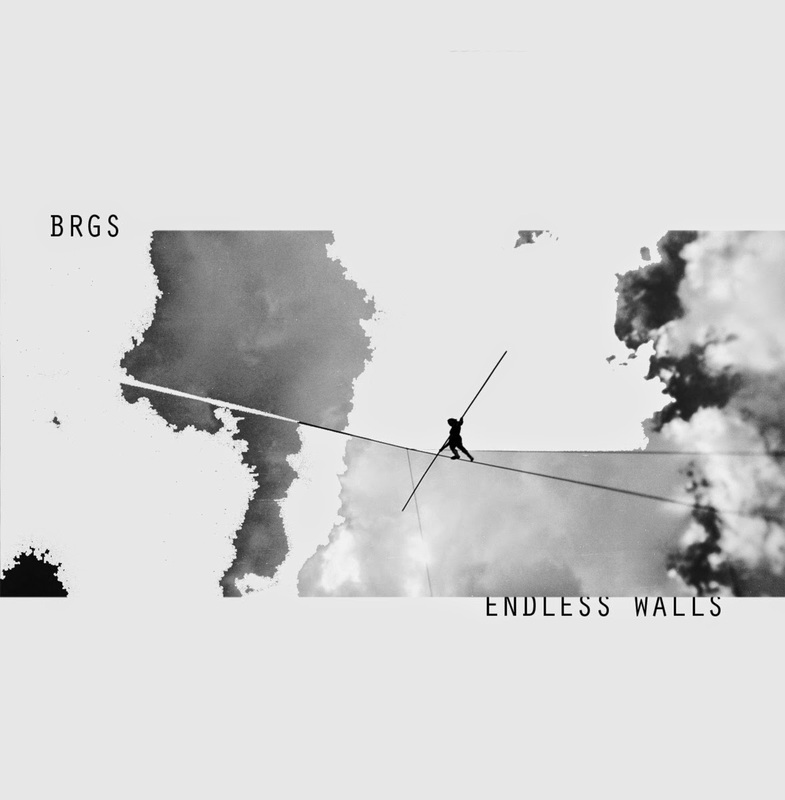 On the surface, the music is not so dissimilar from any number of past efforts by others, though BRGS has a nice underlying tonal thing going on, kind of bridging abstraction and melodicism, especially in parts of "Wall 2", in a way that's both appealing and reserved. "Overture for a New Beginning" is a more ambient affair with BRGS apparently using samples from various Western classical sources over wave sounds and such, melding them into an undulating, shifting loop that acquires a organ/synth-like texture. There's a quasi-pulse lurking beneath that rush the pace more than you think at first, imparting a welcome, partially hidden dynamism. It gradually unspools into a denser, more kaleidoscopic field, the sounds centering around a tuning "A" but also becoming, oddly enough, more interesting as they do so. It gets to a kind of blurred Terry Riley stage, nice and lush, then slowly becomes thinner, more brittle, with new lines appearing within the wall of sound, including something that resembles a clarion call. A single, 36-minute piece that maintains interest throughout, entirely enjoyable. 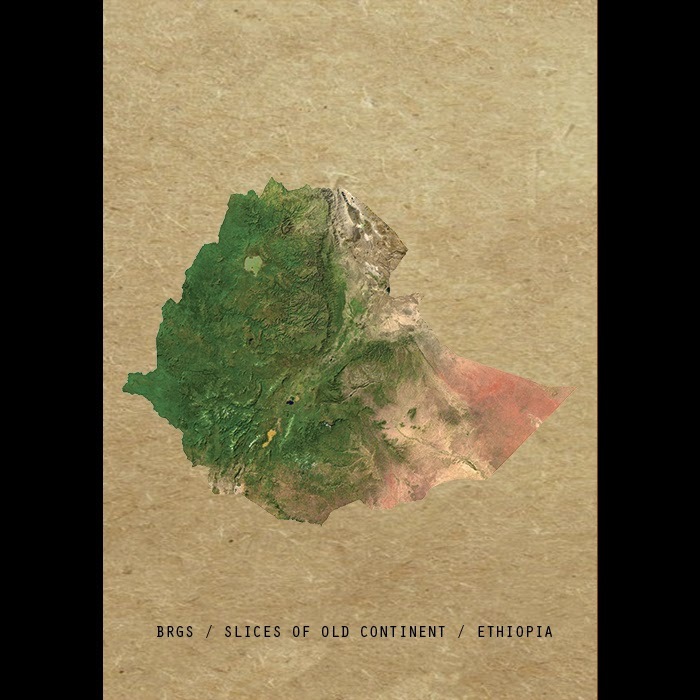 The pair of recordings sourcing the sounds of Ethiopia and Liberia are both short (16-18 minutes) and essentially process music from the areas via various electronic manipulations, in the former case filtering through backward mutation akin to that done on "Endless Walls"). While it sounds fine, part of me wanted to hear the original pieces, especially the sung ones, without alteration. The Liberian disc uses a bunch of percussion samples (balafons, perhaps), overlaid, with infiltrating voices, very attractive, summoning up a dreamy, Reich-like world. Sonically, it's a pretty rich stew, taped sounds from multiple sources overlaid, interspersed with abstract electronics, voices, the occasional sound of a traditional instrument. There's always the danger, of course, using sources with programmatic baggage such as war footage, that matters will become heavy-handed and forced. For my money, Drygianakis largely avoids this although he skirts close every so often (toward the end of the third track, for instance, where you're plunged into the midst of a pitched battle). There are well-realized, lengthy stretches of hollow, more desolate areas wherein the dramatics of a firefight might stand out, whether too obviously or not is a judgment call. For me, the evident anguish tends to carry the day over any kind of manipulation, the sounds of conflict being read as such, not as mere effects. There is, for example, a fine passage where you hear a bird call, isolated, with the very distant sound of explosions, soon accompanied by what seems to be a ghostly, shakuhachi-like flute and forlorn string plucks. If there's a musical reference that tends to crop up while listening, it's Simon Fisher Turner's work for Derek Jarman, although no pop or ambient elements surface here. 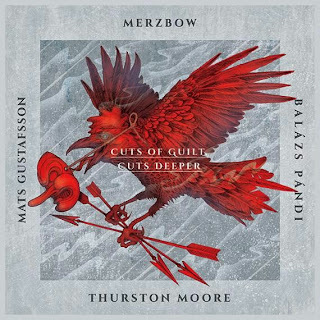 There's a lot going on here and I pick up more each time I listen; an interesting, unusual work, well wroth checking out. 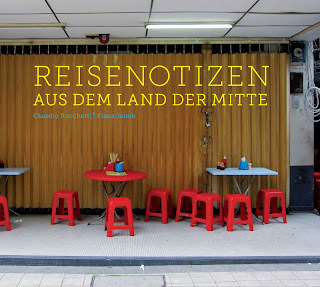 Another text/music publication by the intriguing Lenka Lente house. 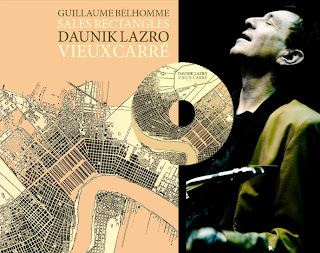 Here, Lazro, who has worked with Joe McPhee in the past (I recall the "Elan.Impulse" duo disc from the late 80s) takes on the beautiful McPhee composition, "Vieux Carré", first heard on the Hat hut release "Graphics" from 1977, a personal favorite of mine. It's a 10-minute solo baritone performance (this is a 3" disc), recorded live in 2011 in Rouen, in a space where you can hear a good deal of ambient sound that works very well with the music. 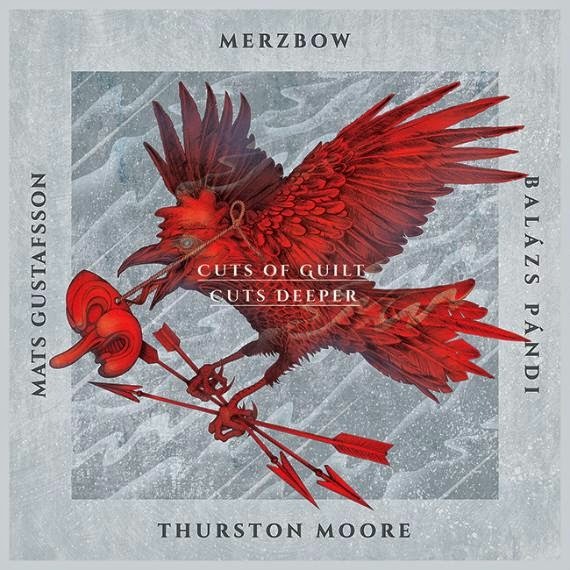 Lazro interpolates some Monk but largely sticks to relatively traditional variations on McPhee's lovely, melancholic melody. Short but entirely sweet, such a strong tune. Belhomme's text consists of fragments--paragraphs or single lines--mostly in French, that refer to Lazro and McPhee (and jazz in general) but also include semi-random extracts from conversation and fleeting reflections on various activities in the world, each portion separated by a barcode, which lends a cynical air. A good, handsome package, well put together. 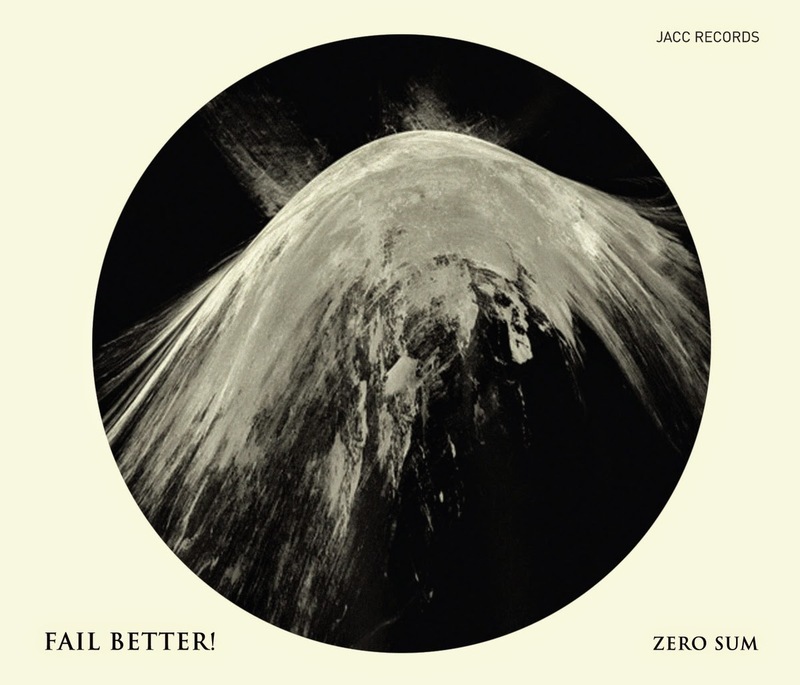 Lazro's performance is fine and I imagine would be a welcome addition to the collections of McPhee enthusiasts. Wherein our favorite initials-only trio (Vasco Alves, Adam Asnan, Louie Rice) take sounds from earlier installations, including the conversations of passersby and/or gallery goers, and place unexpected emphasis on rhythmic elements, albeit slow, even drippy ones. Good stuff, very different from standard fare, rather unique. 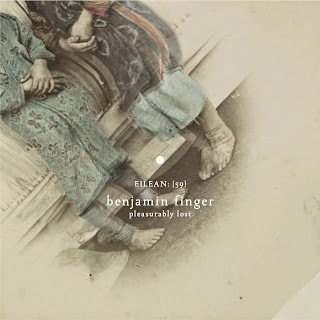 The Pitch is Boris Baltschun (electric pump organ), Koen Nutters (bass), Morten J Olsen (vibraphone) and Michael Thieke (clarinet), on this occasion (a live recording from 2012, issued on LP) joined by Lucio Capece (bass clarinet), Johnny Chang (violin), Robin Hayward (tuba), Chris Heenan (contrabass clarinet), Okkyung Lee (cello) and Valerio Tricoli (revox). The piece is a drone, I gather an improvised one to some degree, perhaps observing certain agreed upon parameters. I'm not sure why (and it's interesting--for me--to attempt to figure out) but I don't find myself particularly drawn in to this particular performance. I've little doubt that, in the live situation, it could be a substantially different story, with the strands flying around the space, being corporeally immersed. On disc, though, I'm never as riveted. The music, especially as powered by the organ I think, is fairly accessible and (multi)tonal with clear layers, entries and exits by the various instruments etc. as well as the odd percussive accident (intentional or an artifact of the space, I'm not sure). Maybe, despite all the churn, there's too much of a "one thing" aspect for me, some conflict between just sitting there and really just sitting there, a kind of insistence that seems at odds with the notion of droning. Who knows, perhaps that's the goal? As is, for this listener, it's ok, nothing too thought-provokng though, and not providing so much of lasting sustenance. This is a program, comes in a nice little USB drive with good, helpful documentation. Essentially, you set parameters--many of them are available, all with sliders--and an interacting sound/visual file is generated. More often than not, you can easily see the relationship between what emerges from your speakers and what appears on the screen. It's pretty damned fascinating. I can imagine spending hours fiddling with this and have to wean myself off. It brought back memories of that mid-90s "Chaos" program, marketed under James Gleick's name. The video below (https://vimeo.com/122113072) if it doesn't work on the blog, gives you a better idea than I can about it. 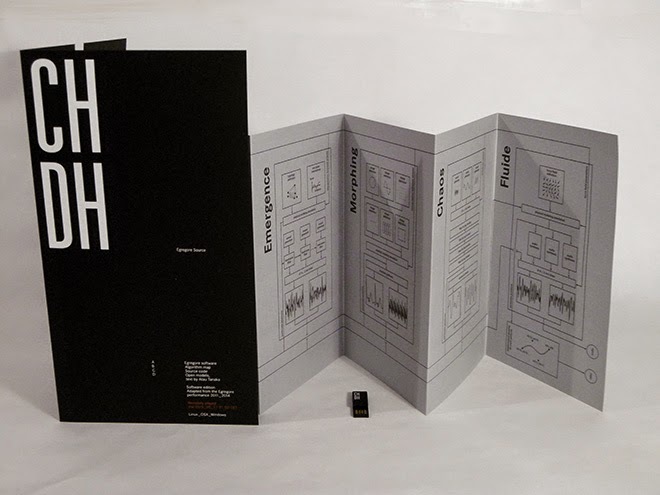 A 2-cd set from John Butcher (acoustic and amplified saxophones), Angharad Davies (acoustic and amplified violin), Rhodri Davies (electric and pedal harp) and Lee Patterson (amplified devices and processes). The first disc is a performance of a graphic score by Rhodri Davies, "cup and ring", while the second is a live improvisation. As indicated by its title, Davies' score centers around his fascination with the cup and ring phenomenon, a kind of stone carving found worldwide but with concentrations in northern England. Per Wiki: "They consist of a concave depression, no more than a few centimetres across, pecked into a rock surface and often surrounded by concentric circles also etched into the stone. Sometimes a linear channel called a gutter leads out from the middle." Their purpose is the subject of some debate. I wish a copy of the score had been included either in the disc sleeve or on the Another Timbre site, but no such luck. I'm assuming the score in some ways bears a visual resemblance to typical cup and ring patterns, but who knows? In any case, one simply listens and that's more than rewarding enough. It's a complicated, often densely layered work, lasting over 57 minutes, making it (for me) very hard to grasp as a whole but the journey, from field to field, is almost always rich and exciting. One quickly gets over parsing out who does what and settles in for the ride which turns out to be finely varied and exceptionally strong over the first half, from dark rough and tumble to sizzling electronics and biting strings. Sounds are usually sustained with either long tones or iterated strokes (handheld fans on harp strings? ), everything shot through with crackles here, plucks there, saxophonic flutters and kisses (plus a great deal of, I think, Butcher-generated, controlled feedback) and tons more. Section after wonderful section, including an especially juicy portion with layers of ringing tones gliding along dark, resonant scrapes and shuddering, subaqueous-sounding saxophone some 20 minutes in. The quartet moves into a drone-laden area once past the half-hour mark which I find a little less absorbing than what preceded, though perhaps it's called for (or interpreted as such) in the score. But they quickly regroup and enter a lovely section of quiet raindrop-like sounds, very beautiful. The music fragments (effectively), emerges in a sequence of high chirps, settles into yet another sustained, dronish area but, to these ears, a much more complex and evocative one than before. A strong work, a fine listen. Davies, in his notes, states that he wanted to evince the "different modes of working" experienced with this ensemble, hence juxtaposing the graphic score reading with the improvisation, the latter recorded a bit less than a year ago. If there's a clear difference--and, given only these two samples, I think there is--for me, it's much more to do with underlying structure than anything else. Not surprisingly, there's a kind of consistency, not necessarily better or worse, present in "cup and ring" that's less so in the improvisation (titled, with what I take to be sly reference, "repose and vertigo"). The quartet moves more quickly from point to point where, perhaps, the score led them to linger, overall resulting in a rockier affair. As well, Butcher's saxophone is more prominent as such (no amplification or feedback) which does flavor the proceedings differently. The result is a fine and sensitive performance, fairly close to what I'd expect given the participants. In this instance, though, I'm more drawn to the scored recording which imparts more of the unexpected. But you can't go far wrong with either. Very good music, leaving me anxious to hear more of Davies' ideas and, for that matter, similar input from the three other musicians in terms of scores or other notions for this quartet. Granberg has crafted an odd and beguiling work. 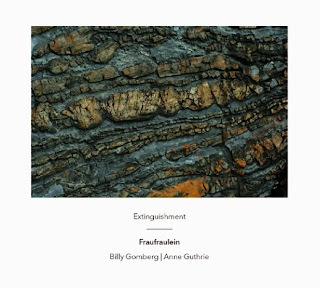 Scored for quintet (Granberg, clarinet; Anna Lindal, violin; Leo Svensson Sander, cello; Kristine Scholz, prepared piano; Erik Carlsson, percussion), it's 45 minutes of a certain kind of self-similar composition that I relate to pieces like Feldman's "For Samuel Beckett". Not that it sounds anything like Feldman--it doesn't, really, though one might call it a distant cousin--but that it operates in a fairly well circumscribed area, discovering a great deal of variety there but content to remain, with only the barest amount of push. There is a subtle, almost masked kind of cadence in effect, however. Very often I found myself thinking of a slow, gentle tumble down a hillside, juggling a few possessions, each step or fall similar in a general sense, different in particulars, never encountering a serious obstacle, just negotiating the slant and the minor bumps and branches along the way. Describing it further is difficult. At first, the parts appear in brief, quiet sequences, almost pointillist but with enough contiguity between the sounds to form a kind of fabric, however tissuey. The clarinet tends to play the longest tones, maybe three seconds, the rest more or less fragmented, though the strings will also shift to slightly longer bowed notes. There are no real pauses or disjunctures; the space retains a consistent "average density", though constantly changing within that. My impression is that the scoring is intuitive but if I learned there was some kind of system in place, it wouldn't entirely surprise me. The clarinet seems vaguely mournful and given that the piece is in memory of Granberg's father, that's appropriate. The piano and percussion seem to propel the music a small bit, to the extent it's nudged along. But it's general between a thoughtful, even distracted amble and that slow-motion tumbling feeling mentioned above. Not dreamy, really, but thoughtful, concerned with balance and very patient, which makes a big difference. Can't think of much more to say that would shed any light. It's really good, subtly bracing work. My first thought on experiencing this release, not having heard anything from Fraufraulein (Billy Gomberg, bass guitar electronics, recordings; Anne Guthrie, french horn, electronics, recordings) since 2009's "Donna Hayward's Secret Diary" is how different it sounds from the work each has issued individually since then, at least to the extent I've heard. Though you can pick up aspects of both, it seems less like a halfway meeting point than a triangulation that results in something rather different, though perhaps weighted a bit toward Guthrie. I get the sense they're really pushing to get out of their comfort zones and, by extension, to place themselves in a kind of "danger" where the outcome is less something fully formed than an exciting way-station. Whatever--and I could obviously be entirely wrong--it's a an excellent recording, one that I found a little opaque at first but which really opened up on each successive listen. There's something about the structure of the three pieces--they feel very organic and unfolding, no clear framing but there's some underlying sensation of tensile strength; I can't figure it out, but I like it. Guthrie's horn, played straight, with overtones or sung into, is more overtly prominent than Gomberg's bass, though it's possible that any number of sounds are attributable to it, I suppose. But I hear more the horn wandering through various aural environments, often with the feeling of being outside, of looking around corners or hillsides. 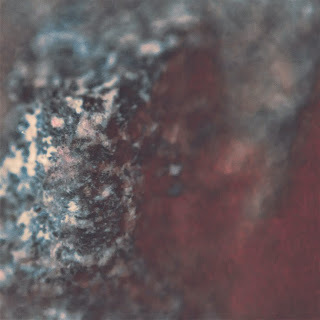 "convention of moss" begins with a very low bass hum, quickly engaging several strata of crackle, high feedback tones twining and numerous sounds evocative of a large space; really tons going on but always arranged in a non-cloying way, always flowing. Distant crowds, muted horn, clanging metal, that crowd congealing into an instructor and respondents, the latter singing a hymn in the sonic haze with final comments by a quietly growling Guthrie. 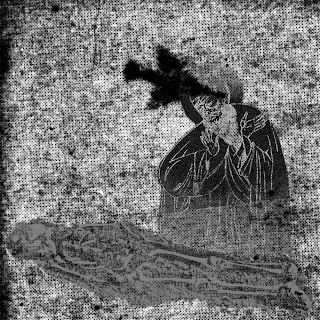 "whalebone in a treeless landscape" starts, appropriately enough, in a far ore spare area, constricted horn floating above a desert of echoey bass notes and single, metallic clicks. The feeling is different from the first track, looser in a way, more springy and stretched out, bearing a palette full of submerged motorized sounds (dulled outboards?) amidst bell tones, far off children's cries, barely heard, a lot more, something like a denser scene from Ferrari. Guthrie's horn soon sounds long, low, forlorn calls through a more vacant landscape; hard not to imagine some large, pining creature, an elephant/Malfatti hybrid. But the core of the piece is still subtly moving, rotating, taking in other vistas; a really fascinating construction, a fantastic piece. Robbie Lee contributes to the final piece, "my left hand, your right hand", though I'm uncertain in what capacity, maybe the voice (though I'd guess that's Guthrie) which sings a kind of simple lullaby/chant in high register in the middle distance, over a searing sine-like tone and occasional soft bass pluck; eerie and lovely. Actually, the voice seems to morph into the horn and then something that sounds bass clarinetish is heard; it's disorienting a little, though it sounded so innocent at first, like a benign dream slipping into malignancy, colors swirling and blending, darkening. In a way, I think it's the most daring track here if not the most "successful", but that's fine, a good thing really. The footing is unsure but the push is there. Abstract electronic scapes by NYC-based Acosta, incorporating found sounds and the odd sample. In addition to locating some very tasty sounds, Acosta shows a welcome willingness to sit with them for a while before moving things forward. Things do move and the pieces progress at their own pace until they arrive, but he leaves plenty of time to linger and appreciate elements on their own, as near the beginning of "Without Warning", where simple, open sound exists, not overtly tampered with, for quite a while--some 22 minutes, in fact, until some sines enter toward the end--and I don't begrudge it a second. When you think you detect hidden voices buried within, murmuring, whispering, you're not sure at first--a wonderful sequence, with nods to both Werder and Pisaro. The title track picks up with those sines for several minutes before they're disrupted, fracture, replaced with a rushing water sound (though electronically produced, I think) that's soon underlaid with a deep hum, all of this very immersive and oddly narrative. It's a long piece, though, 26 minutes, and the episodic aspect, to my ears, becomes a bit too forced, the sections like the motorized sequence starting around the 11-minute mark, not so inherently interesting and feeling a bit tacked on, though perhaps that's the point--always hard to say. "Where Does It Go?" closes the release with a rather different take, sines and samples existing in an airier space, the samples including snatches of radio song, PA announcements, etc., emerging and being masked by the fairly pure electronics. The latter get a tad goofy at times, but maybe that's their "answer" to the samples, not sure. As before, there's a lot mixed in, many shifts, but things cohere very well and something genuinely new emerges. Curious to see if this direction is pursued. A jam-packed 3", using sounds recorded at Canary Wharf in London and others to generate a shirt story of sorts, filled with incident and stressing looped sequences. We hear first a mechanical action, repeated, a metallic click-clack, the "click" sharper and more in the foreground than the "clack", gulls and ambient traffic hum surrounding. 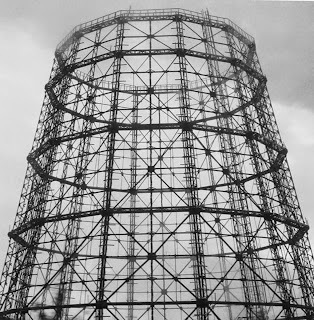 It pauses, then begins again with renewed vigor, the impacts harder (a pile-driver? ); hard to tell if this is a loop or not. A darkly sizzling undercurrent appears and the banging acquires an echo as the atmosphere grows more oppressive. Six minutes in, the hammering ceases and we hear only the distant rush of traffic with the odd nearby rustle or squeak, a welcome lull, beautifully enhanced by subtle, low flutters, possibly from the propellors of a boat, which slowly increase in volume only to be sliced off and replaced by the ghostly sound of soft rattles in a large, dark space. The whole enterprise has taken on a noirish character. Again, the intensity surges and another repetitive, mechanical sound appears, two loud ones as though someone's manipulating a massive stapler, followed by three softer ones, almost like heavy footsteps. Clouds of noise form around this core, steamy and uncomfortable. There's something of a Fritz Lang/Metropolis feeling here. It all ends with extreme abruptness. Strong work, well-molded and definitely worth hearing. 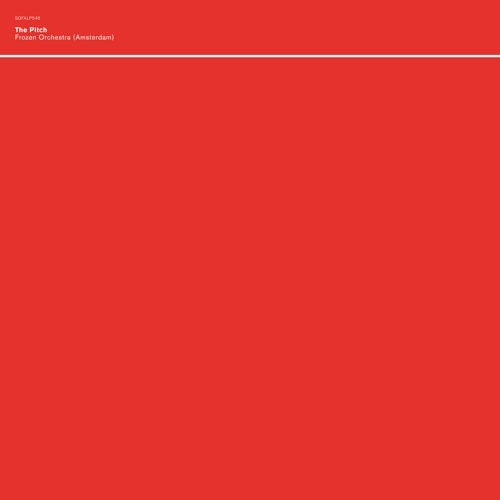 A set of songs, abstracted somewhat but still decidedly songs, in a kind of post-Fennesz tradition, I guess, although there are probably more accurate referents around. 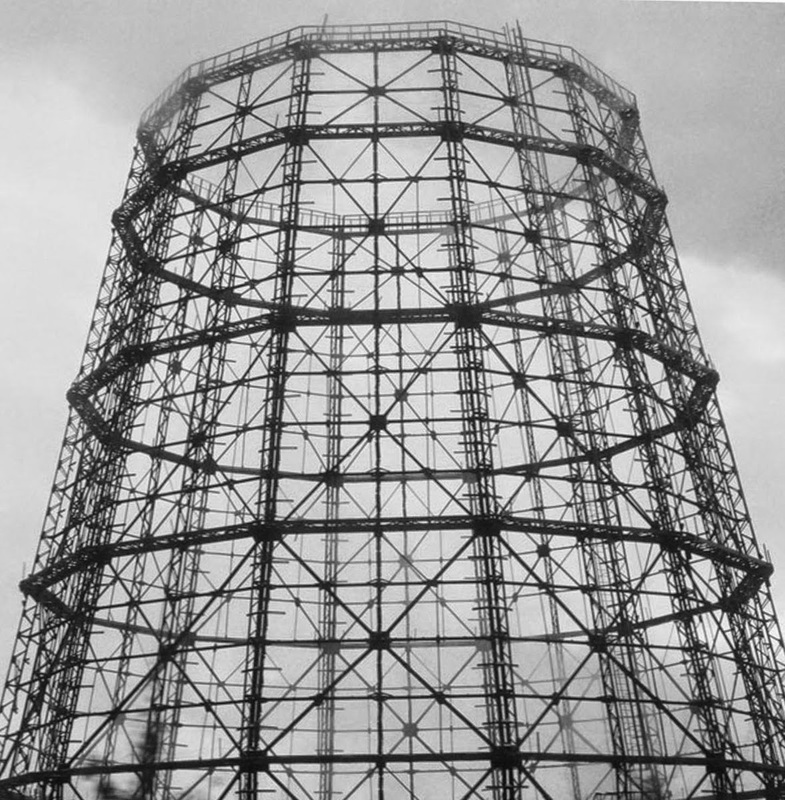 In an environment that mixes electronics (including glitch-prov-y sounds), classical instrumentation, fractured and all but indecipherably dreamy vocals, melodies drift in and out, none staying too long, no danger of any hooks being established. Maybe a hint of Badalamenti now and then, especially when there's a gauzy female voice. It all weaves together enough that distinguishing among the ten tracks becomes a little tough, much less picking out favorite moments, but the echoey, (aptly) distorted piano of "Edge of Distortion" stood out as especially evocative, offset by necessary static and electric buzz; I was reminded a good bit of Asher. Overall, it's a bit fuzzy for my taste, though not unenjoyable in a languid, outré pop sense. 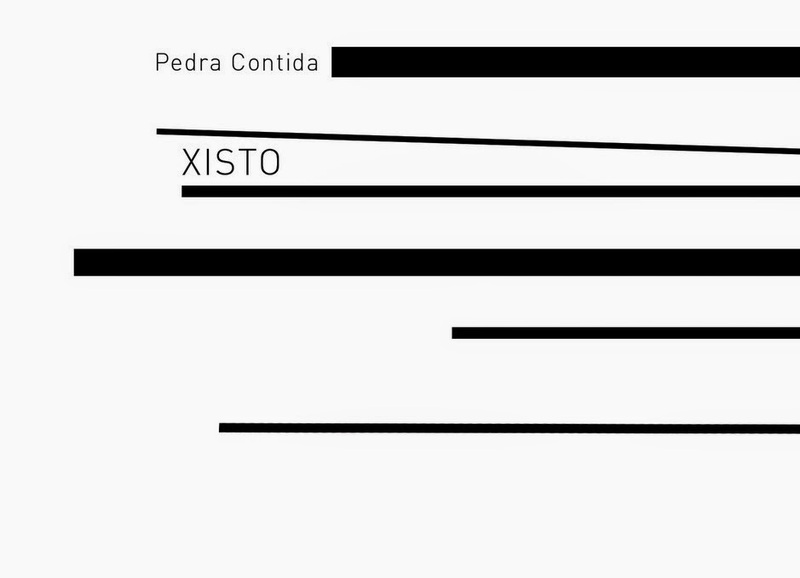 Pedra Contina ("contained stone", I believe) is a quintet made up of Marcelo dos Reis (acoustic guitar, voice, singing bowls), Angélica V. Salvi (harp), Nuno Torres (alto saxophone), Miguel Carvalhais (computer) and João Pais Filipe (drums and percussion). The disc, a 2014 release, is grouped into three sections: a four-part suite by dos Reis, three pieces under the heading "Solo and Duos" and a group improvisation. 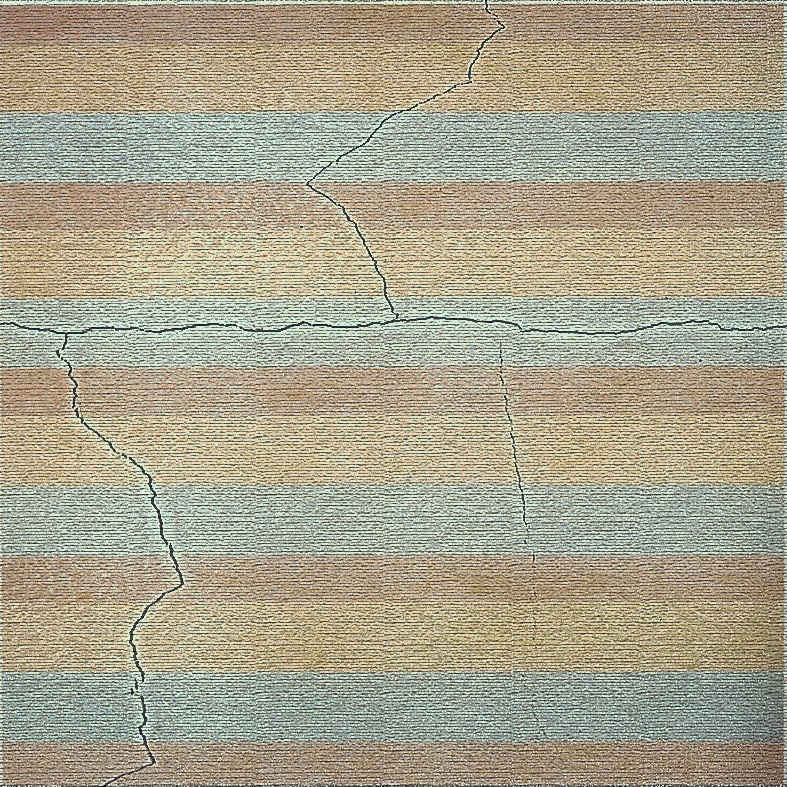 Dos Reis' set of works begins with a long, soft tone from Torres, repeated, gradually acquiring a burr. Quiet, malleted tom-toms, low soft harp and other percussion enter, the heat level slowly turning up but still on simmer--very absorbing. Then things erupt into a Braxtonian bit of fragmented activity with vague boppish roots (this is the second section, titled, "Cuts"). I wasn't too keen on this direction, not appreciating that the initial few minuted had been relegated to "prologue" status, but it doesn't last very long, soon subsiding into a lovely harp/guitar section, thoughtful and calm. "Central Motif" revisits a kind of Braxton/Mitchell (specifically an imagine Mitchell/Barefield collaboration) area again, but more subdued, though filled with scurries and squeaks, very well sustained and not overly cloying. "Five Spaces", recorded live, creates a fine pool, each instrument separate, their effects rippling past one another, the harp pastoral, the computer gently agitating, Torres (I think) using water; good work. Carvalhais' computer solo leading off the second area balances a generally reticent approach with quick flurries of wooly activity, dry and wet sounds coursing through a hollow space, low volume but intense, very impressive. This is followed by a truly pensive and pretty harp/percussion duet, Salvi playing "traditionally", with strong lyricism and subtly propulsive rhythms, Filipe providing extremely sympathetic accompaniment, especially on what sounds like a balafon-like instrument; again, excellent work. 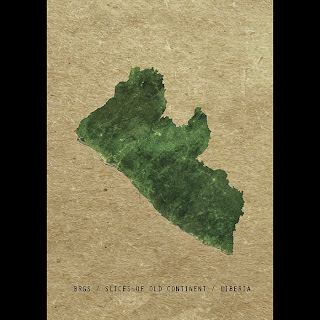 The duo between dos Reis and Torres picks things up seamlessly, the pair engaging in sustained and quiet conversation, dos Reis' voice adding a wonderful layer of warmth, a songlike lullaby or lament, seeming to refer to times past. "Cracks, Shale and Bells" closes thing out, remaining in the same fertile territory, Salvi kind of the Tilbury of the quintet, maintaining tonality amidst the eddying sprawl. The track is very unprepossessing which works massively in its favor, Nothing feels hurried, nothing feels as though striving for importance. The music approaches silence but never quite gets there and manages to cover significant ground over its course while imparting a sense of overall structure, however vague over its 15 or so minutes. It's nothing that others haven't attempted many times in the post-AMM era, but this quintet pulls it off exceptionally well. A strong recording, worth seeking out. Yes, an unfortunate band name. 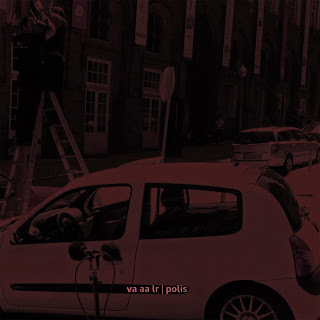 especially with the exclamation mark, this is a quintet consisting of doe Reis (here on electric guitar) and Filipe from Pedra Contina along with Luís Vicente (trumpet), João Miguel Pereira (double bass) and João Guimarães (alto saxophone), heard here in a 2013 live, improvised recording. It starts in a soft zone, dos Reis' guitar providing gentle, strummed chords. When Vicente enters with some quite vocal, though still delicate trumpet, it almost sounds like an introduction to "Love for Sale". When he adopts the mute and begins quasi-vocalizing, and as Guimarães enters the mix (again, subtly and probingly) the music begins to resemble early Art Ensemble, those tonal/spacey areas they'd create as in some of "People in Sorrow". It's not imitative, merely occupying adjacent ground and doing so very well. Dos Reis, when he's up front, takes things into somewhat different climes, his guitar carrying traces of Middle Eastern references. It's interesting that when he finishes a segment some eight minutes in, the music switches mood entirely, actually again back to a quiet, early Mitchell kind of atmosphere. If there was no editing involved, it implies an intriguing conception of group improv on the part of this ensemble [checking my readout, I see there are indeed several tracks involved, something not indicated on the sleeve, so we're hearing extracts, not a continuous performance]. The whole has a far more jazzish feel than the previously reviewed release, well-handled and convincing when in that kind of AEC mode, a bit less so when matters shift to more frenetic, efi scrabbling which, to be fair they never enter all that whole-heartedly or for long durations. Still, it feels like something of a fall-back option when they do so, a safety valve in lieu of pushing things further along the lines that Pedra Contida attempted. While Pedra Contina crosses over into wider territory, this recording, a pretty decent one, will appeal more to the adventurous jazz fan. I'm sure they'd give it an especially warm welcome. Somehow, I'd managed to be unaware of the work of Möller, a situation happily rectified via these three release, one each form 2004 and 2007 and one newly issued. 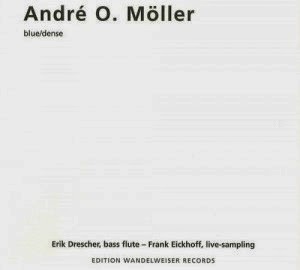 "blue/dense" (2003) is for flute (Erik Drescher) and live sampling (Frank Eickhoff), in four sections lasting between 16 and 18 minutes, each preceded by a minute of silence. The "musical math" is beyond my ability to comprehend but, for those so inclined, "this piece uses 17 tones in whole-numbered proportions to a virtual fundamental of G" (25Hz)". What one hears, after the silence (which feels very solid) is first, a single flute tone, pure and held, followed by irregularly occurring others, apparently as many as 28, forming a deep and mellifluous river, always shifting, some of the near convergences in pitch generating interference patterns, the whole sounding wonderfully warm and complex. Per the liner notes, there's amplification involved and it often sounds as though there must be electronic manipulation going on, but I'm not so sure. The pieces, while sharing an overall sound and sensibility, vary significantly form one another, perhaps insofar as which tones are "favored", perhaps with regard to how the sounds are amplified. 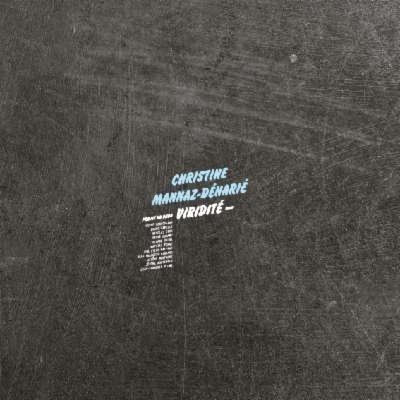 Despite a different approach to sound generations, the result is sometimes not so far from that achieved by Eliane Radigue; fans of that composer will find much to enjoy here. Placing one's head between speakers and playing at volume provides a multitude of aural thrills in addition to the music's essential beauty. Great stuff. 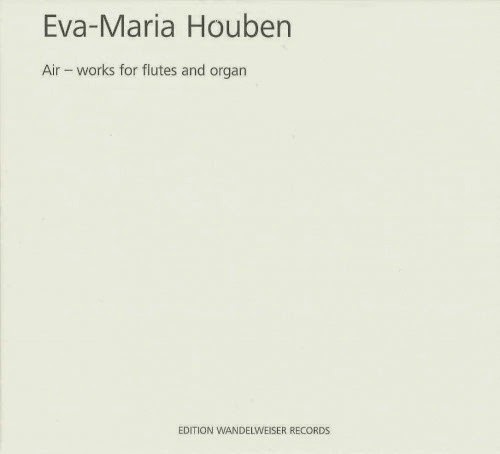 "musik für orgel und eine(n) tonsetzer(in)...2003..." is a 73-minute work for organ, played here by Eva-Maria Houben. It involves just intonation and, again deferring to Möller's technical acumen, only uses "those frequencies of the organ sound that have close to whole-numbered ratios (+/- 6 cents) to a fundamental (in this case C' at about 32 Hz)". It begins without a fantastically churning, hyper-dense and rich chord, something one could simply loll in forever. About five minutes in, however, there's a bright splash of a chord, brilliant and surprising, which adds a whole other realm of possibilities. It's just an enormity of sound, filling every nook and cranny of one's aural space, enveloping. Möller credits Charlemagne Palestine as an inspiration and yes, you can hear that but there's more power here than in anything short of "Strumming". You begin hearing all sorts of things buried in there, most of them invented between one's ears; I have a distinct impression of a choir of double reeds á la the Master Musicians of Joujouka. 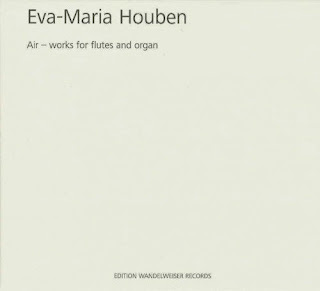 Just as it's, arguably, becoming too much of a good thing, it downshifts at 28 minutes, pools there for approximately the middle third of the recording, Houben again sending out subtle tendrils almost below sensory awareness, sinuous continuos writhing just below the surface. At 58 minutes, instead of surging back, it recedes once again, diminishing to almost a single, breathy note (though there's a thin haze of surrounding tones). The pool image redoubles, the ripples, echoing, very slowly subsiding, eventually into silence. While being very dubious about categorizing it as such, in the subset of organ-steady state-long form, this might rank right at the front of my favorites, ever. For "in memory of james tenney", in four parts, Möller and Maldfeld each wrestle with one such beast, using instruments from the 17th and early 18th centuries. And f it's grain you want, step right up--this thing, especially Part I, sounds like the bow is severely serrated, close to being able to saw wood. A huge rumble that encloses myriad tones high to low. Think of a Radigue cello piece with your head inside the cello. Part II varies the attack a bit more, relatively smooth strokes coexisting with the rough; there's also the occasional pluck. It's dreamier, more liquid. There are moments when I'm reminded of the early, excited strings work of Arnold Dreyblatt. You can hear many of the brass-like sounds the instrument is capable of here, the pair sometimes sounding like a small sea of muted trumpets, pretty amazing. It's like a lost 60s Penderecki work for brass ensemble....but better. Part IV (the third section is absent) is a short, two-minute piece, almost a song, very hesitant and lovely. The final portion, subtitled "when eight is seven", is also far less steady-state than the first, shuttling quietly (though often quite deeply) from form to form, hyper-low growls wending through a panoply of mid-range, barely sustained tones, edging into silence, emerging elsewhere in the stream. 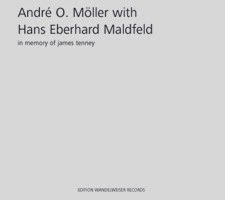 It feels less sure of itself, more troubled, a welcome counterweight to the (strong sand beautiful) confidence heard elsewhere, both on this disc and Möller's earlier releases. 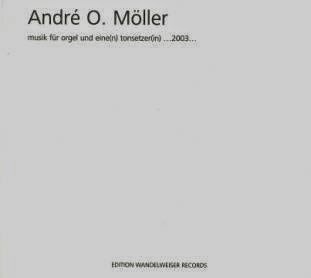 It's wonderful work, very unique, all of these recordings (as far as I can tell representing Möller's entire recorded output) making me very anxious to hear further music from him. It's only within the last several months that I became acquainted, however minimally, with the lovely music of Philippakopoulos via two recordings on this same label. Apart from the stunning and subtle melodic content, one of the factors that appealed to me greatly was the way the grains of the instruments involved--bass clarinet and flute particularly--worked so wonderfully in tandem with the written content. The recording at hand thus presents certain problems for this listener as Underriner, who I'd previously only heard as a guitarist in the ensemble that recorded the Pisaro/Sugimoto disc, "D Minor, B♭major", has taken three works by Philippakopoulos originally for, respectively, flute, string orchestra and bass clarinet and adapted them into variations for electric and bass guitars. More, as PIsaro puts it in his notes, he "explode[s] the duration of the pitches and put[s] distance between them", essentially drawing out the initial melodies into a stretched form that renders them virtually unrecognizable. I haven't attempted a side by side listen and can, I suppose, imagine being able, just, to hear some correlations but I think that would be almost beside the point here. We'll just grant the source and listen to the music as a new, if directly inspired, work. Still vestiges of the original "songs" remain in memory and, for me, much of that has to do with the aforementioned timbre, something I find lacking in the electronic hum that pervades the works as presented here. "Song 6" sets the tone, so to speak, the piece adapted from flute to electric guitar and bass guitar, Underriner playing both. We get rich, deep tones, multi-layered and, played at volume, full of flutters that buffet the air. They appear, linger and dissipate, leaving stretches of silence, often lengthy, presumably simply the original score played just that slowly. But so slowly that, if it's possible to relate it to the primary source, I'm certainly unable to do so and, one assumes, that's intentional. So, one listens to it as is and it's a not unpleasant but, for this listener, generally unsatisfactory experience. I've often found e-bowed guitar (if that's what's being used here; sounds like it to me) to have a tendency toward a kind of blandness. Placed within given contexts, they can be fine; on their own, especially on a recording where you necessarily lack the immediacy that interaction with the room can provide, not so much. 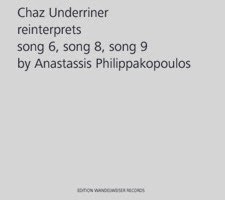 "Song 8" attenuates the string orchestra to three electric guitars and bass guitar (Armin Abdihodzic, Greg Dixon and Robert Trusko brought into the fray) but, for the listener, the result is pretty close to the same. Again, entirely pleasant, easy to immerse oneself in, but...I find I crave some grain, some air. I should say that there are portions here that are exceptionally attractive, certain combinations that do, indeed, imply some "other". "Song 9", rendered for two bass guitars, drifts appropriately lower, producing possibly the most delicious tones of the set, setting one's speakers to vibrate. But at the end of things, I'm still left hearing more effects and too little of ideas and substance. Apparently the second project by Miguel Prado under this rubric (the first issued in the form of a phonographic cylinder), we find the adventurous Galician investigating song form in amanner which recalls, to me, work by his occasional collaborator Mattin from a few years back, though Prado certainly puts his own distinctive stamp on things. 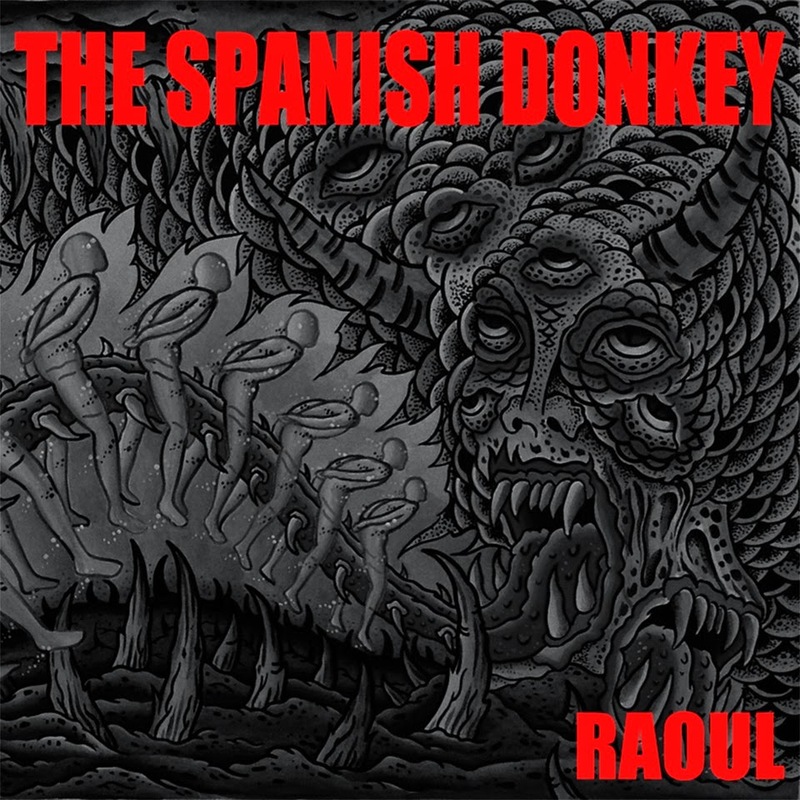 The first track, "Serpientes y Escaleras" sets the tone, with a stomping (literally, I think) rhythm and blurred, boomy vocals, like a foggy, isolated Scott Walker. Other elements enter, a swirling hum, a rapid, more mechanical beat, vague voices. 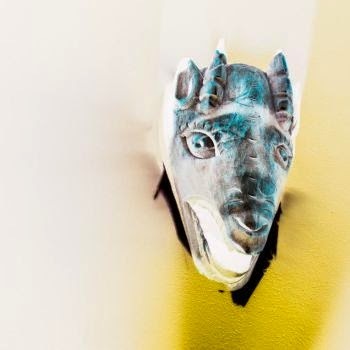 "Máscara de Ocelote" fills the space quite a bit more with congas, a bass line and an army of exterior recordings, edging the music toward more traditional song structure, maybe pushing into Hanrahan territory a little. The notes for the album cite "the decadent lyricism of late-70s music" which, not being a devotee of same, I'll take at face value. The vocals, which are similar throughout, certainly generate a lugubrious atmosphere. For me, that only goes so far and I wait to hear a gelling of the band as such (which at times include Rafael and Roberto Mallo, Ruth Barberán and Alfredo Costa Monteiro) which really sets in on Side B. "Segare la Ragazza" combines a nice, semi-regular throb with some fine scratchy scrawl (over, as ever, Prado's vocal wafts like a thick mist) ending with a convergence of struck metal, marimbas and faraway choirs. The density continues to build on "Trece Lunas Nuevas" with a rich syrupy swirl that includes something that actually approximates a guitar (or mellotron...) solo. I can't say it's my favorite area of music, whatever sub-genre you wish to assign, but what Prado and crew do, they execute very well, resonating with more power than I would have guessed. Yet another referential deficit issue for your hapless reviewer. Though I've almost always enjoyed what I've heard over the years, I'm really pretty unfamiliar with King Tubby at any great depth. To take the example at had, I'd never knowingly heard of either "Great Stone" or "Blood Dunza" prior to this recording, though I've since attempted to familiarize myself with them. That said, I'm not sure that were the two Tubby tracks among my all-time favorites, I would have been able to detect their presence, inspirational or otherwise, in the sides from Diatribes (d'Incise and Cyril Bondi on melodica, bass melodica, loudspeakers, electronics, objects and microphones). We're not talking Blind Idiot God here. Yes, there are some examples of echoing percussion and there's an abundance of bass--low, bass sounds, that is, however generated. Leaving the dub aside, I'll say that the recording is a very enjoyable pairing of tracks, replete with long, low hums and spiced with electronic and percussive elements, everything taking its sweet time, elements appearing, hanging around, not rushing off. 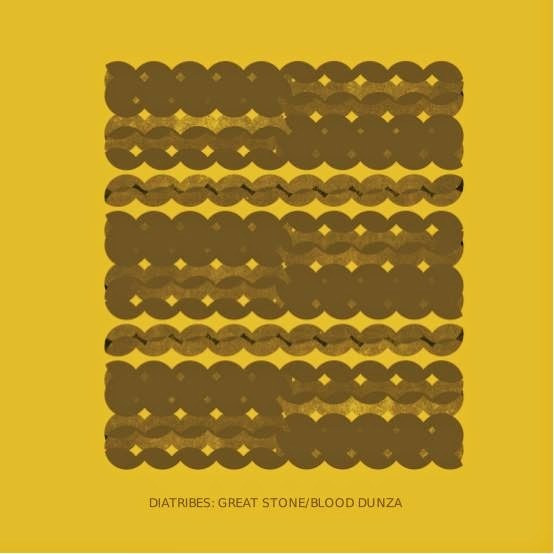 The melodicas are prominent on "Blood Dunza", a lovely sound, quavering just a bit, imparting a plaintive quality, but very rich, laying alongside the deep bass tones to marvelous effect. Diatribes has, in my experience, been very much about control and here they achieve a fine balance between channeling these lines within prescribed troughs and allowing just enough seepage and overflow to keep things interesting. Do check it out, regardless of dub experience. Eight alto saxophone improvisations, four acoustic, four with feedback and/or guitar amp. The language that Gauguet employs is not anything particularly new in this field but the combination of precision, delicacy and sensitivity of sound placement is unusually fine, making the disc well worth hearing. The tracks with electronic enhancement recall, of course, players like Butcher in terms of technical approach but Gauguet reaches different levels of subtlety and layered interaction--not better, just different, exposing his own personality. "Yūgen", the longest piece here at 14 minutes, is a superb, calm variation on tone, the pitches drifting in and out, steadily, beautifully held, Gauguet letting things linger enough that you have the impression of a quiet, night environment with just the occasional breeze floating through. 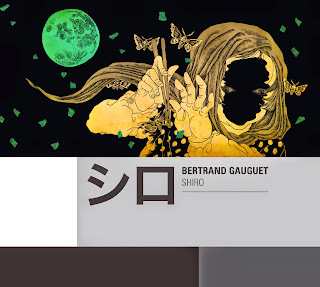 this album was conceived during a residency in Kyôto and the legacy of the shakuhachi seems clear, though Gauguet is never at all imitative. On "Sabi", he lets loose a bit, creating a work the listener might have attributed to someone working an electric guitar in Hendrix-feedback mode, resonating cavernously and very effective. 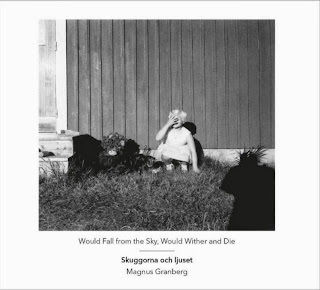 But the larger portion of this disc contemplative, controlled and very strong, an excellent recording. Similar to the Gauguet only in the sense that the strategy involved has been done before yet the results are striking and very well conceived. 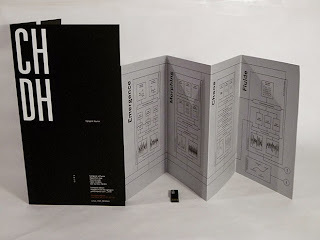 Alexis, for these five pieces, made field recordings in various situations including train lines and factories, concentrating on different sound areas within each while Rives created his soprano saxophone improvisations at another time and place without reference to Alexis' recordings, the two grafted atop each other leaving the listener to make connections and patterns. I'm guessing some amount of choice was made, perhaps by Alexis, in determining which of Rives' recordings to use with which of his own (simply because they seem to "fit" pretty well), but otherwise, chance is allowed to rule vis á vis the interaction of the elements. 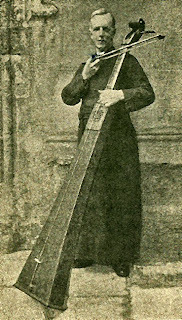 Rives spends substantial time in his "comfort zone" of the high-pitched, two- or three-ply tone (pairs well with wind) but also engages in deep buzzes and low clucks while Alexis' choice of venues/recording sites is also imaginative, from the fine, heavy openings and closings of squeaking factory doors to exterior, rainy environs. The one scenario that stands apart here is "Solid Steel Sculpture" where I'm fairly sure some large metal element is being "played", possibly by gloved hands, resulting in a sound (and even rhythms) not so dissimilar from Partch's larger percussion instruments like the Marimba Eroica. As said, the listener creates his/her own correspondences and, thanks to the wealth of material and the imagination which which it's deployed, there's no problem doing so. A very enjoyable, thoughtful exercise. The title translates to: "Throbbing - Or: Roll Down the Stairs with Looping Twine" and refers to the house, a 19th century, former convent school in Picardy, France, which Büttner roamed and used as his instrument, the structure itself as a resonant chamber but also various elements within including "breathing wood planks, flickering light switches" and much more, the sum then worked into a set of pieces. The result is rather kaleidoscopic, though air-filled, and yes, there are plenty of throbs. I get the impression many of the iterative sounds are from, for example, old fans running with items stuck inside to be rudely caressed by their blades. 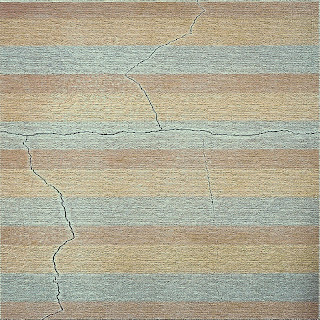 Other sounds metallic in origin emerge, having their scarred surfaces rubbed or scraped. A wonderful sense of interior volume permeates the set, apparently large sounds echoing remotely down the hall while the foreground is filled with whizzing, dryly whirring and rattling noise, for instance, creating a fine feeling of distance and, as said, air between the sources. Büttner knots all this together with a good sense of sonic heft and an impressive ability to keep things from cloying, start to finish. 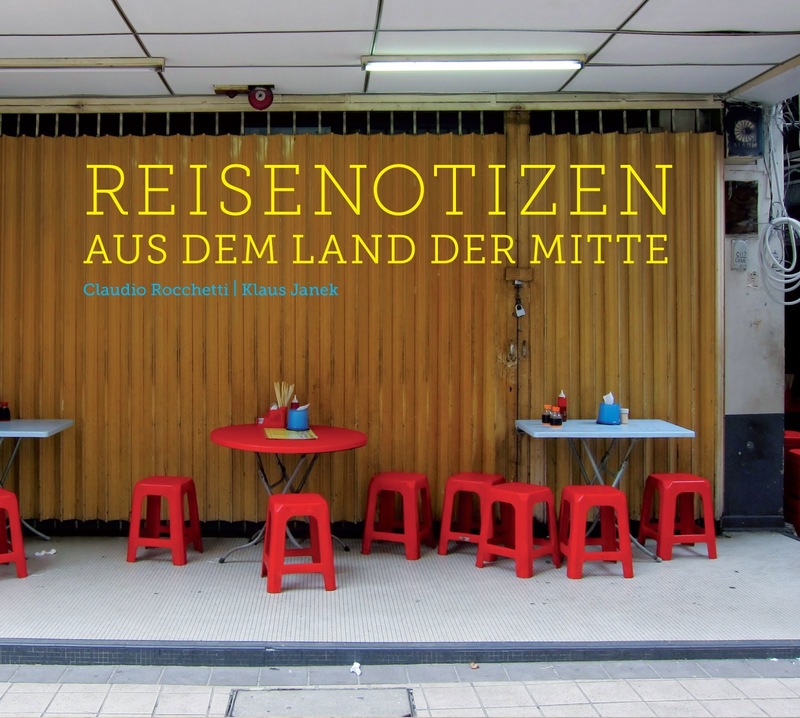 Travel notes from the Middle Kingdom (in this instance, Hong Kong, China and Malaysia) as realized by Rocchetti (field recordings, feedback) and Janek (processed double bass). Sounds from other musicians, many of them Chinese, are also incorporated into this dense and dirty mélange. Much of the environmental sound on the first track is booming and dull, as though some large scale event is occurring beyond the walls. In front and within this you hear conversation, bass clarinet, shuffling, bells, squeals and who knows how many other elements, all oozed out into the space. 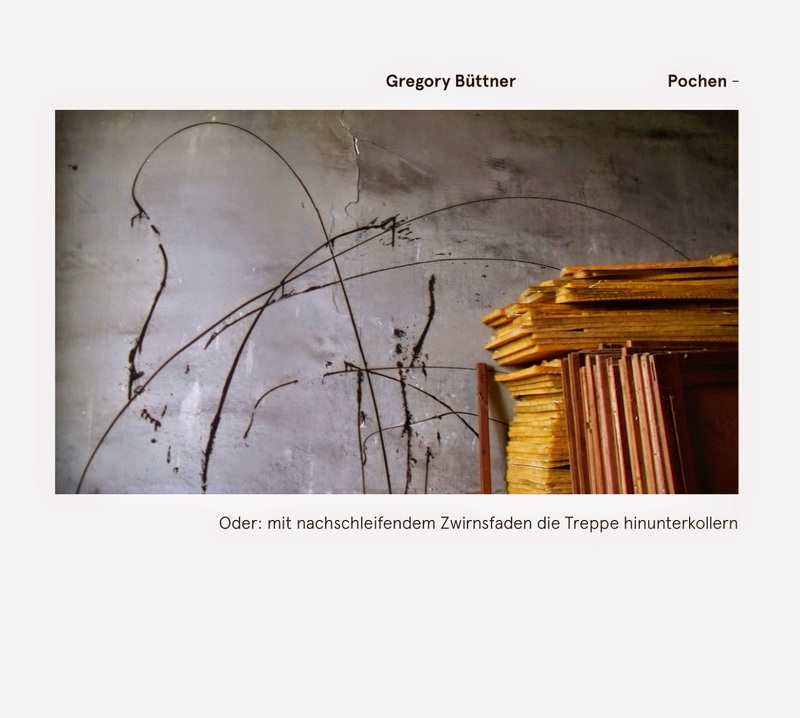 Kind of a kitchen sink approach, in strong contrast to the Büttner release above and, for these ears, more difficult to retain any balance, which is presumably not the goal, instead plunging whole hog into the aural morass. It's relaxed and resolutely lo-fi on the one hand but also feels carefully pieced together from their tour. There are moments when things congeal very well, as on the fifth track with its ambient/splatter mix and portions of the final cut--effectively desolate--but much of the disc, to these ears, sounds excessively haphazard and not terribly interesting. Always a subjective call, of course, especially as to which found sounds work, which don't, which sequencing strikes one as resonant and intriguing, which don't. By and large, this effort didn't connect for me. Ah, a good, old-fashioned organ trio...ok, not quite. 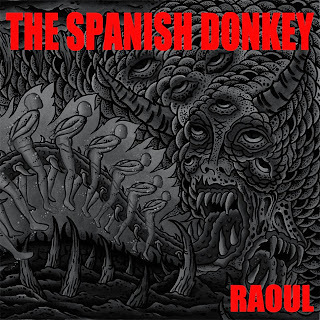 I take it Spanish Donkey (named after a particularly unpleasant looking torture device) has been extant for a while, though this is the first I've heard them. Sampling via earlier videos, it seems the music on "Raoul" is something of a departure from previous approaches. Here, the trio (Joe Morris, electric guitar; Jamie Saft, Hammond and Korg organs, MiniMoog Synth, Echoplex piano; Mike Pride, drums) lay out three jam-type tracks that have a lot to do with tension and release, concentrating on the former. Morris, at least in this setting, has a little Sharrock in his playing which led me to sensing a Last Exit vibe here. That said, for the most part Pride resolutely refuses, for a long time, to fall into any kind of regular rhythm which is the prime tension generating element. The trio gets into this extended intro territory, all build-up and the listener (well, me, at any rate) sits at the edge of his metaphorical seat, waiting for the show to drop, for the rhythm to kick in for the spirit of Ronald Shannon Jackson to enter the fray. And it doesn't anytime soon. Saft's keyboards tend to stay underneath, supporting the more up front activity of the guitar and drums, and he's quite effective, billowing and surging, propelling the mass up and allowing things to subside. Whether or not a given listener will have the patience to wait for matters to really gel is another question. I went back and forth, sometimes enjoying the journey sometimes finding the meanderings less than justified. Even without the rhythmic impetus, every so often things simply come together with both suddenness and force and the music attains lift-off for a few minutes--marvelous when this happens and perhaps that's the point of trio: keep stirring the pot until it boils. It's not until about 21 minutes into the title track, out of 30 or so, that matters seriously coalesce and when it does, it's both exhilarating and feels somehow earned, Morris in the throes of ecstatic whammying and Pride occupying an interesting area between free and Elvin Jones-like propulsion before, at the very end, dropping into a backbeat for a minute. Saft's splintery organ wells up from nowhere, filling out the sound space and further enhancing the bristling energy. I note that band members reference a "microtonal blues" idea but will quickly add that this trio sounds nothing like La Monte Young's Forever Bad Blues Band--there's far more aggression. "Behavioral Sink" has a slower, bluesier pace, Saft's Hammond is more up front and Pride slides in and out of fairly regular rhythms, causing the track to grip more quickly. Morris' lines are cleaner here, making good use of wah-wah, more floating along than knifing through. At 12 minutes, it would have had perfect duration; at 22, it overstays its welcome a bit, but is still enjoyable. The last track, "Dragon Fly Jones", also grinds, Morris again fuzz-drenched, but the forward motion at a slightly quicker pace. Much like the title piece, it segues into tight clusters of ferocious energy, unspools, returns. While the music isn't up my normal alley, I found a good deal to enjoy here and can imagine this trio producing a great live set. Recommended. I came to this recording, perhaps unfortunately but understandably, with certain not very high expectations. 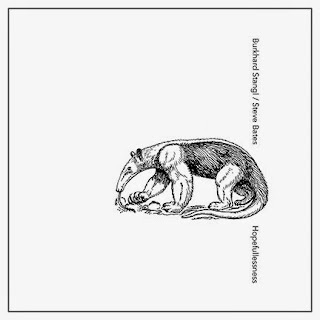 I don't think I'd ever heard drummer Pándi before, but experiences over the years with Merzbow (noise, power electronics), Gustafsson (saxophones, g clarinet, power electronics) when not playing in his rare, more reined-in persona (e.g. the Lacy covers) and Moore (guitars) in improvised situations led me to expect a skronk-fest, more or less, a testosterone-fueled, seething mass. So we have four improvisations spread over two cds, each about 20 minutes long. Balls to the wall, as they say, save for the third track, about which more below. I don't derive great value from this, it all seems passé and beside the point. I guess there will always be a market of sorts for this approach, but if you've seen Borbetomagus in 1980, Last Exit in the mid-80s and countless other examples (much less noise with a purpose á la AMM in 1968! ), you wonder: why bother? It feels good, I guess, and without a doubt there are fans for whom this album will come as a godsend. Pándi actually provides some interesting playing in this context, especially the rolling, tight sequences on the second track, reminding me of Turkish drummers like Burhan Oçal. Maybe the problem is that, to me it always sounds like four individuals, not one cohesive unit where the personalities have dissolved into a larger presence. I have nothing against wankery per se, but there's wankery and then there's wankery. Here, when the tracks sputter to an end it's difficult not to conjure up certain images...On "too late, too sharp...it is over", the quartet opens up the space a good bit, getting into an almost gamelan-like area, staying refreshingly uncongested for its first half, before becoming cluttered (though not densely so) in its second. This isn't the kind of music where a given member hangs back and doesn't play unless he's got something of value to input. What they do, they do quite well. Whether one cares is another question. Those who do, have at it, you're in for a treat.